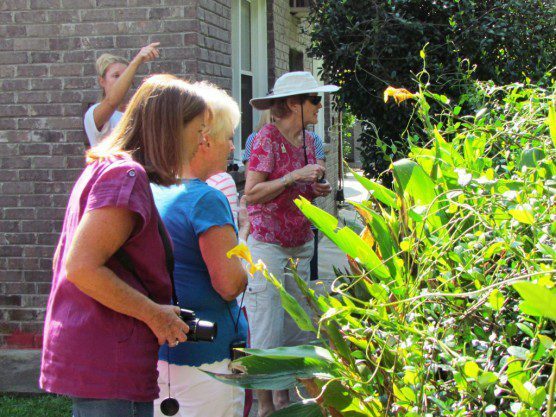 Yesterday, IPPL’s sanctuary hosted the Mount Pleasant Garden Club, which makes monthly visits to notable locations around the Lowcountry that might interest their members. But I don’t think any of them had ever been on a garden tour that featured gibbons! 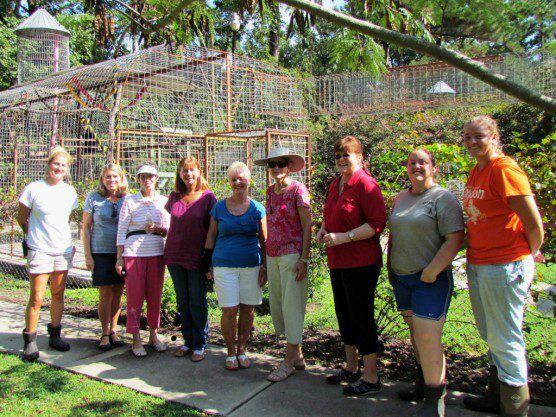 The Mount Pleasant Garden Club came on an outing to the IPPL sanctuary yesterday, led by IPPL staffers Meg McCue-Jones (far left), Samantha Martin (second from right), and Rachel Schleicher (far right). The organizer of the event (Marcia Rosenberg, fourth from left) is an IPPL supporter and animal advocate. Our Executive Director, Shirley McGreal, is a British citizen and has a true English love of gardens. The IPPL sanctuary does boast many lovely flowering shrubs and trees that add beauty while creating visual barriers between our gibbon enclosures. 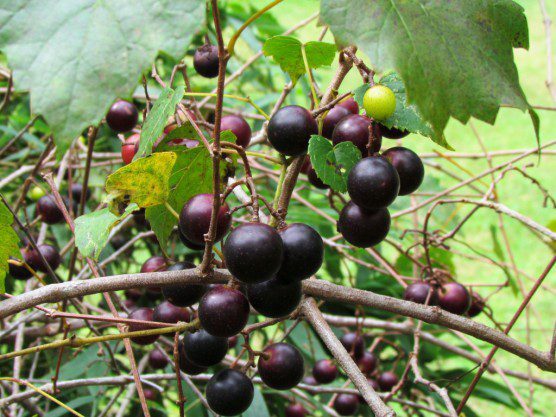 In addition, on our grounds we cultivate fruit like muscadine grapes, figs, and blueberries (all organically grown) that the gibbons love. We still have some muscadine grapes on the vine. Our gibbons love them. Last year, we even caught the attention of a local newspaper columnist for our stands of giant Japanese timber bamboo. Not only do we use several species of bamboo to create enrichment devices and other structures for our gibbons, we also feed our little apes the tender shoots that emerge in the spring. 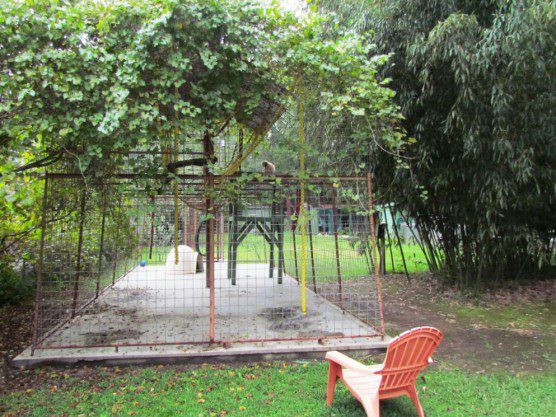 Maynard can pick all the grapes he wants from the vines growing over his enclosure. The nearby bamboo makes a nice, shady screen in the late afternoon.  The organizer of yesterday’s outing, Marcia Rosenberg, is an IPPL supporter and a local animal advocate of note. After her cat almost died from a bungled spay operation, Marcia began to call for transparency in the workings of the South Carolina of Veterinary Medical Examiners (the Vet Board). Years of knocking on the doors of legislators finally resulted in success: in South Carolina, the public now has the right of access to Vet Board disciplinary hearings. 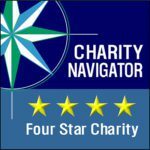 She is still known as the Vet Board watchdog and continues to receive and handle citizen complaints of allegedly under-performing veterinarians. Garden Club members check out our Canna lilies and Confederate jasmine (otherwise known as star jasmine to non-Southerners!). 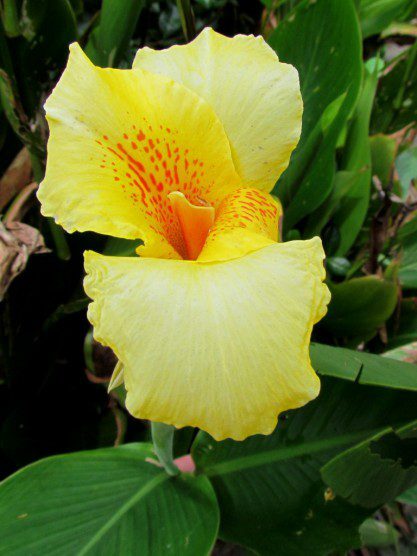 Our lovely Canna lilies by Gibbon House #2 are almost done blooming by now; they could use some thinning out. We’ll try to get some and work it into our raised beds—maybe even with the help of club members, who are planning a return “working visit” some day soon. And when the University School of the Lowcountry volunteers arrive in a couple of months to work on our gibbon garden, per the advice of the Mount Pleasant Garden Club we’ll get them to plant some kale, collards, and spinach for our little apes.